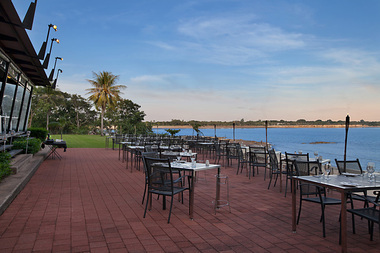 PeeWee's at the Point, East Point Reserve, Darwin. Information, Photos and Reviews. Scenic views by day, magnificent twilights by night, Pee Wee’s at the Point is Darwins waterfront restaurant. 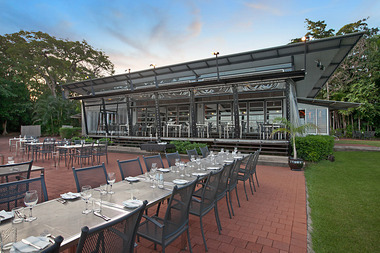 The venue is situated on nearly 4 acres in the tranquil surrounds of East Point Reserve and just 8km from Darwin's CBD. 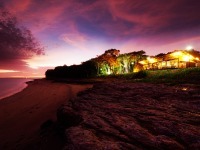 Its idyllic waterfront location offers magnificent views across Fannie Bay and Mindil beach, and at dusk, the twinkling lights of Darwin city’s skyline will appear as if by magic in the distance. Pee Wee’s is a multiple award winning restaurant, the perfect venue to host an intimate dinner for two or world class corporate event. 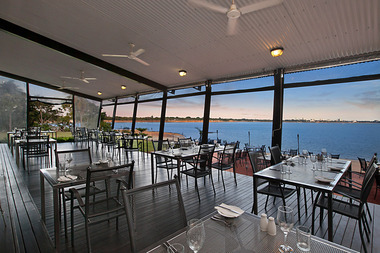 Our menus aim to reflect the produce, climate and multiculturalism of the Northern Territory. We source only the best and freshest local produce. Specializing in wild caught saltwater barramundi, tiger prawns, tropical fruits and locally grown Asian vegetables. The very best of the Top End is always on show at Pee Wee’s, with perfect Territory focused cuisine. Nobody has reviewed PeeWee's at the Point yet, Be the first. You are submitting a booking enquiry. 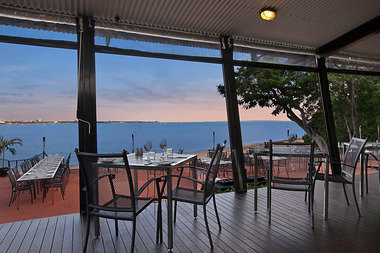 PeeWee's at the Point will then contact you by email with details of availability and prices.